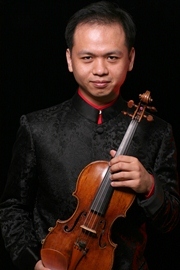 Recognized as one of the world’s most successful concert violinists and multifaceted musicians from China, Xiang Gao’s musical integrity and virtuoso technique have gained accolades from audiences and reviewers around the globe. He has performed solo with more than 100 symphony orchestras worldwide and for many world leaders. Gao is a founding member of the “China Magpie” ensemble of YoYo Ma’s Silk Road Project and “6ixwire,” a Delaware-based crossover duet with erhu (Chinese violin) soloist Cathy Yang. 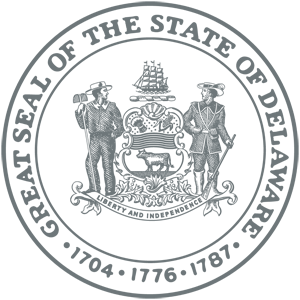 Gao has notably contributed to the arts in Delaware by creating and directing the fastest-growing, unconventional concert series in the state, The University of Delaware Master Players Concert Series (MPCS), as well as creating original music productions to promote cultural understanding and exchange while changing the way live music is experienced. He recently finished composing music for “Campus Chatter: the new musical” that will open in 2015. A two-time Delaware Division of the Arts Individual Artist Fellowship winner, Gao has performed countless times as a volunteer musician on behalf of MPCS at Delaware hospitals, senior centers, libraries, and inner-city schools, making music accessible to children and community members who might not normally be able to attend a concert.